← Open for business: what does investment look like on the ground? There are many misconceptions about farming in southern Africa, and one of the most insidious is the notion of ‘viability’. A narrow economistic version has predominated that is based on a normative vision of farming based on full-time, large-scale commercial production. But taking a wider view, what is viable can take different forms more appreciative of the diverse ways farming is intertwined with wider livelihoods, and across different scales. This debate is important as policymakers consider land reform and investment in agriculture and rural development. In South Africa a new advisory panel has been established to consider different approaches to delivering land reform, while in Zimbabwe the new government is gearing up for investment in the agricultural sector. In both countries the histories of debates about what is viable resonate strongly today. Colonial narratives about ‘good’, ‘proper’, ‘modern’ farming persist, and are perpetuated by powerful forces resisting land redistribution and aiming for particular styles of investment. Such narratives are deeply embedded in institutions, planning frameworks and monitoring and evaluation systems. Too often the dominant framing has been allied to strong normative, racially-inflected, colonial assumptions, supported today by well-articulated political and commercial interests, hooked into a long history of the assumed benefits of a dualistic agrarian system where modern, large-scale agriculture is seen as the ideal. Shedding these blinkered perspectives can be tough, but is certainly necessary. Some years ago now, Ben Cousins and I wrote a piece – Contested paradigms of ‘viability’ in redistributive land reform: perspectives from southern Africa – in the Journal of Peasant Studies on the tricky debate about viability, drawing on material from South Africa, Zimbabwe and Namibia. You can read it here. It made the basic case that a singular, narrow, technocratic, economistic version of viability distorts debate about futures of farming, and can act to undermine attempts at redistribution and a more diverse approach to investment in farming. 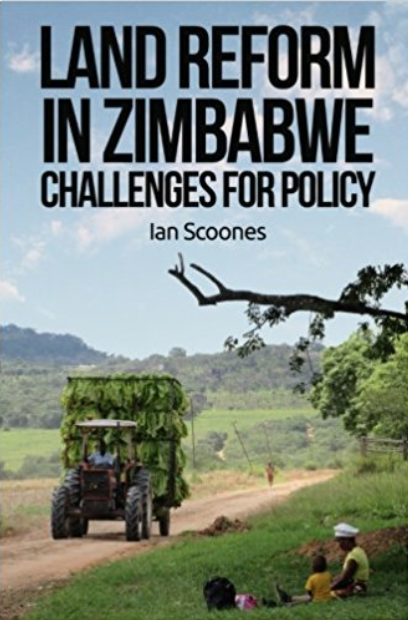 By creating a seemingly technical discourse around minimum farm size, economic units, carrying capacity, utilisation, land subdivision, size ceilings and so on, particular visions of viability become enacted through policy and planning without interrogation. But each of these concepts is premised on a set of assumptions. What is the minimum, for whom, and what if other sources of income from off-farm are important? The normative, political dimensions of such perspectives become clear when their history is revealed. For example, minimum farm sizes (and so appropriate utilisation) were established in the colonial era on the assumption that (white) farmers would be full-time and the income derived from farming according to certain agronomic assumptions would be the same as a senior (white) civil servant. A black, African farmer, offered land in ‘the reserves’ would be expected to have a much lower, subsistence income, and so less land. So if there is no one version of what is viable, what alternatives are there to the ones that are still assumed to be technically correct, despite their dubious histories? In an ambitious comparison in the paper (Table 1), we contrast framings derived from neo-classical economics, new institutional economics, livelihoods approaches (both developmentalist and welfarist), radical political economy and Marxism. All offer different versions of ‘viability’. Taking a broader view, where for example, sustainable livelihoods, class, gender difference and equity are important, suggests a very different set of options for planning and policy. “From the neo-classical economics perspective, the key question is: how efficient is production on redistributed land? A concern with productive efficiency cannot be dismissed; policies that promote the optimal use of scarce land, labour, and capital are important, while not accepting a simplistic emphasis on ‘market forces’ as the driver of wealth creation. From the new institutional economics perspective, the key question is: what factors and conditions influence the efficiency of different scales of production? Questions of scale of production are highly relevant in the southern African context, and so a focus on factors (including institutions and policies) that influence the efficiency of a variety of forms and scales of production is important, while not accepting the neoinstitutionalist premise of a pervasive inverse relationship between scale and efficiency. From a livelihoods perspective, the key question is: what are the multiple sources of livelihood for land reform beneficiaries? In southern Africa, a focus on the multiple livelihood sources of poor people would help avoid an overly-narrow focus on farming alone, while not being blind to the structural roots of poverty. From a welfarist perspective, the key question is: what difference does food production make to the household welfare of land reform beneficiaries? From a contemporary radical populist perspective, the key question is: does land reform transform exploitative agrarian structures and food regimes? In the southern African setting, one might therefore take on board a central concern with the need to reconfigure food production regimes and associated agrarian structures (at both the national and international scale), including the distribution of productive enterprises and associated property rights, and their performance in terms of output and net income, while not accepting an over-emphasis on the common interests of ‘peasants’ or ‘the rural poor’. Shifting the debate about viability (and so what constitutes ‘success’) away from the narrow, technocratic economism that has dominated to date means taking alternative framings seriously. 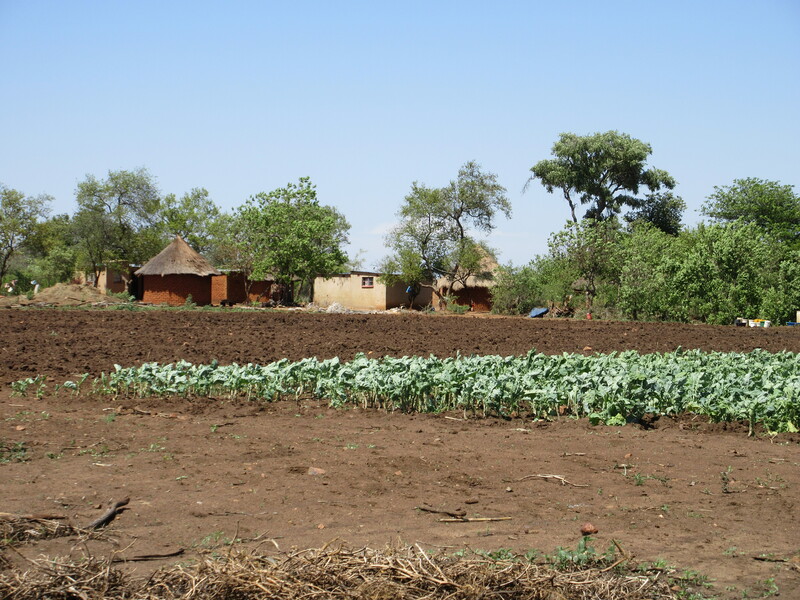 Smallholder farming is not just large, commercial farming scaled down: there are different logics, different practices, different cultures, and so different measures of what is viable. If a future for agriculture and rural development is to be envisaged, then multiple versions of ‘viability’ (and success) – and so investment and policy focus – must be embraced. Many thanks for this. I enjoyed reading it, but need to read it again so that I can try to understand it all! Nevertheless, your ” Smallholder farming is not just large, commercial farming scaled down: there are different logics, different practices, different cultures, and so different measures of what is viable”, is a sentence I will now repeat endlessly to colleagues and others. It’s a point I have been trying to make for a long time, but your version is so concise and clear! Since arriving in Uganda (and a few years later starting to work at USAID) I have had to defend the place of smallholder producers in the farming system of the country. I’ve written about it a little in an effort to convince colleagues that we did not need to get rid of smallholder producers and transform the landscape into Kansas-like prairies! And I keep having to argue the same in meetings when (otherwise clever Ugandans and expats) lambast ‘inefficient’ peasant farmers. It would have been more thorough to have included credibility in your discussion which impacts on viability. A small holder who has plundered and asset stripped a farm is not a credible target for investment. A place holder who just sends his cousin to live on the land isn’t credible either unless the land is productive. Alternate livelihoods becomes an excuse for lack of production.